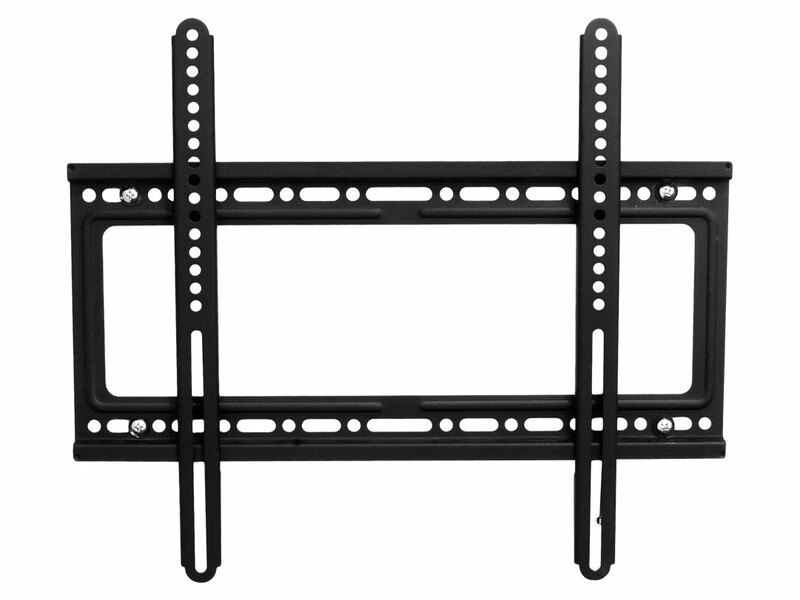 The Liberty AV EP60F Fixed Wall Mount for flat panel TV is the perfect choice for mounting 32" to 60" LCD, plasma, and LED flat screen displays. 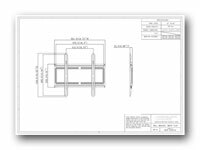 Part of the Installer's Choice Series, the EP60F bracket is manufactured by IMS Engineered Products, a leader in the development of enclosure and mounting systems since 1943. With the introduction of the Installer's Choice Series, IMS brings to your home or business the quality and precision the world’s technological leaders have depended on for decades. 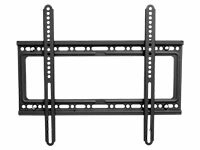 Installer’s Choice represents IMS' most advanced line of rack systems yet, providing customization and quality that is second to none in securing your AV components. With a mind toward the future of home entertainment equipment, IMS gathered a group of the industry’s most experienced installers and used their input and expertise in developing Installer’s Choice. The result is a line of rack systems that combine modern, streamlined design with an ease of use and flexibility that covers any installation level. Installer’s Choice: Better Built by Design. 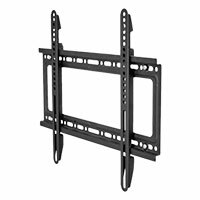 Panel Sizes: 32" - 60"
Typical distance from wall: 0.8"
The EP60F Fixed Wall Mount comes with an exceptional 5-year limited warranty from Liberty AV. 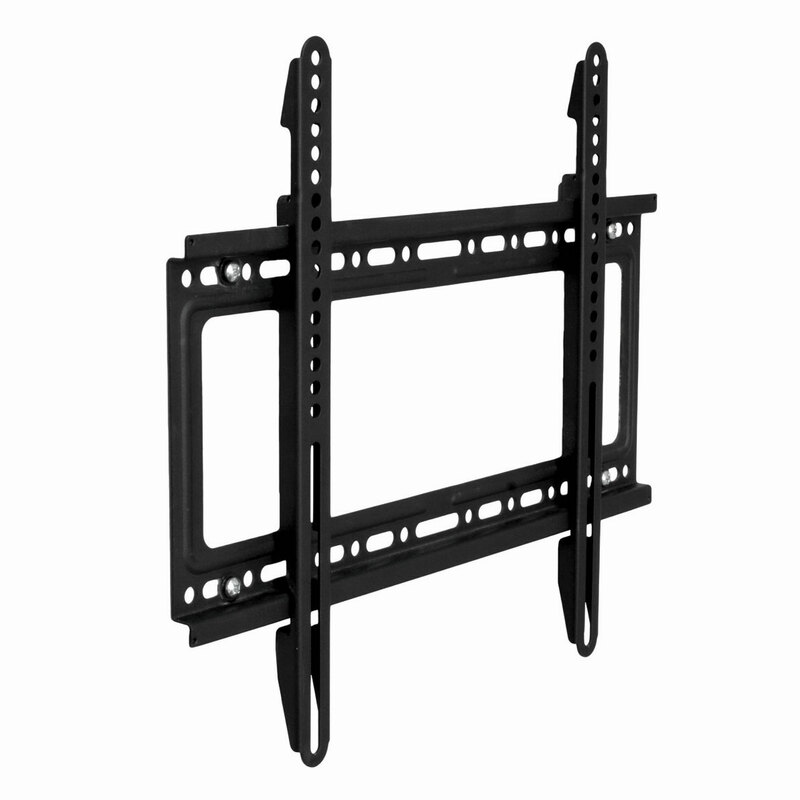 The EP60F fixed mount safely and reliably secures 32" to 60" flat-panel displays just 0.8" from the wall. Its dual stud design provides quick and simple installation. The EP60F supports displays up to 125 lbs. 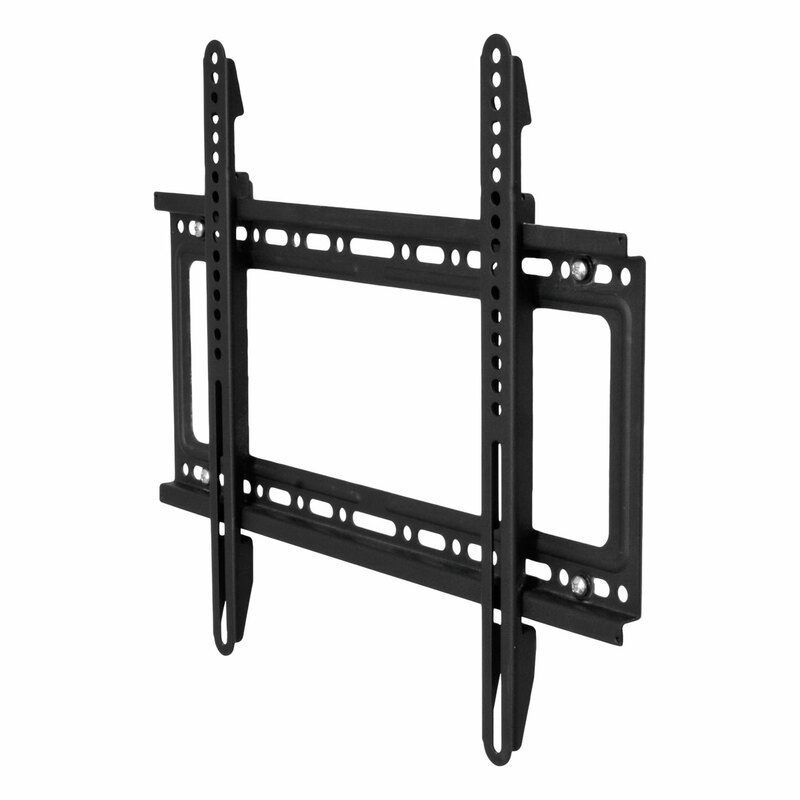 Product Dimensions: Height: 17" Width: 19.75" Depth: 0.8"
The EP60F fixed mount is able to support 32” to 60” flat-panel displays weighing up to 125 lbs. while placing them just 0.8” away from the wall. This basic, robust design provides ample security for virtually every 32” to 60” display on the market. The dual stud, dual rail design ensures easy installation and ready access to cable routing. Here is a view from the front. Here's a view of the mount from the right. 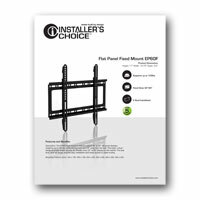 Here is the Installer's Choice Product Brochure in PDF format. Installer's Choice Technical Information in PDF format. 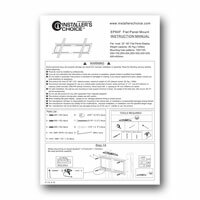 Installer's Choice Instruction Manual in PDF format. We stock this item locally so that it will be ready for immediate shipment, and no one works harder than we do to get your order shipped out to you fast! On business days, orders that are funded by noon will ship the same day. Orders funded on weekends or holidays will ship the next business day. Customer service is our first priority. We do our best to help you find the best solutions for your particular application. We're enthusiasts too, so we know what it's like to wait for cables and accessories that are needed to hook up new gear. We also know how important it is to be able to get a response when you need help, so you'll often find us working long hours in an effort to get you the answers that you need. If you have had enough of outsourced support or worse yet, companies that do not even publish a phone number or a functional email address, we think you will be absolutely delighted that you found our company. We know how important it is to be able to get help when you need it. That's why we have people, right here in Texas, ready to respond to your email or answer your phone call. If English is your language of choice, you will have the simple pleasure of communicating with people whose first language is English. Granted, if you call on the phone, you may detect more than a trace of a Texas accent, but that is to be expected when dealing with a family-owned business run by native Texans. We sincerely hope that you will find our heritage of courtesy, honesty, and an ethical way of doing business to be a refreshing experience. Design excellence, high quality materials, meticulous workmanship, and superior service...put it all together and you get a superior product. Don't get stuck with bad advice, poor service, slow shipment or an inferior product. If you want the best, here it is. Copyright © 2019, Cable Solutions LLC, all rights reserved.